Some of the commoner birds in the camp are starting to become more visible as they start to advertise themselves to mates ready for breeding. 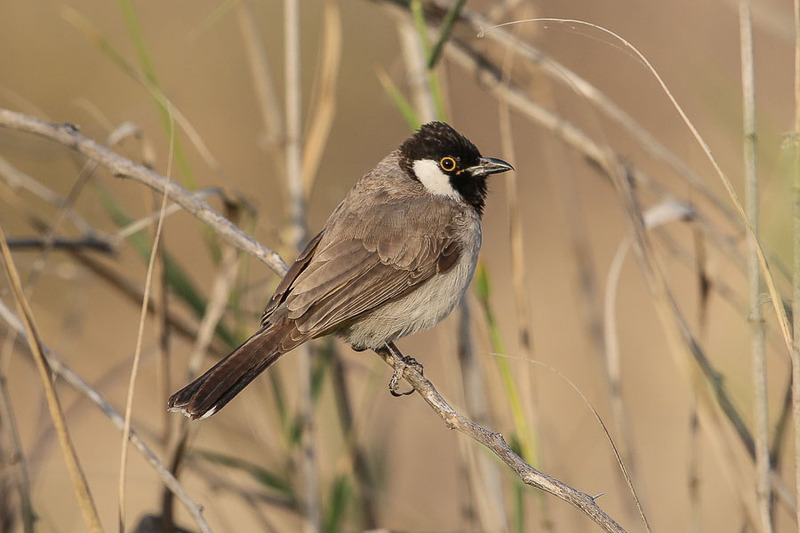 The White-eared Bulbul is a resident breeder and is one of the most common birds seen. They are really beautiful singers and their song can be heard everywhere at the moment. Other common birds becoming more visible include House Sparrow and Eurasian Hoopoe. White-eared Bulbul nests can be relatively easily found in the camp but I refrain from going too close to any as the parents desert their young at the slightest disturbance.